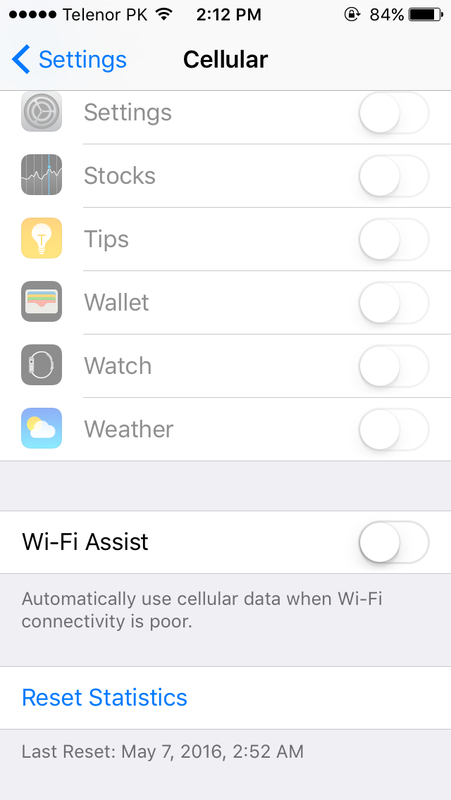 But all those apps are not appearing in "Allow Data For" section in cellular section in IOS. 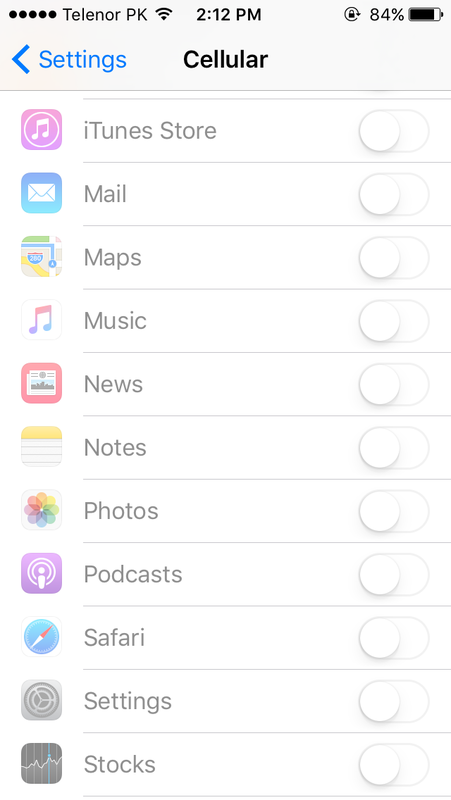 Those apps appears in that section when i turn the data on and use some apps from the data. Each app when takes the data connection and use it start appearing in the section. Once it appears in that section i was able to remove it from there. Uninstall and install any problem app. Restore your device. Important this will erase everything. This is why you should back up first. Connect your device to your computer. In iTunes, select your device, and click Restore. Your device will restart. Simply follow the setup assistant and set it up as NEW, don’t set up from a backup because it is highly likely that this problem is due to corrupt information, this means that problem will repeat if you restore from a backup. We will restore your device from iCloud later. After verifying, now restore your iCloud backup. To do this, go to Settings > General > Reset > Erase all content and settings. When your device restarts, tap Restore from a Backup. Not the answer you're looking for? 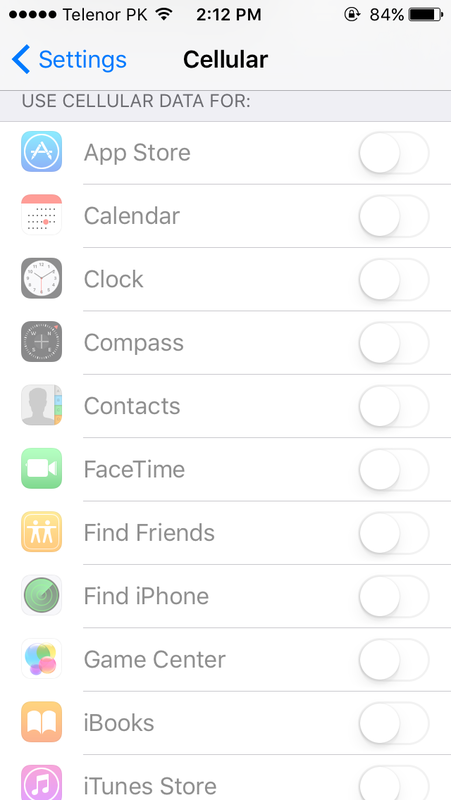 Browse other questions tagged iphone ios applications cellular-data . Can Facebook and other iOS 5.0 apps be installed for iPhone 3G on iOS 3.1.2? 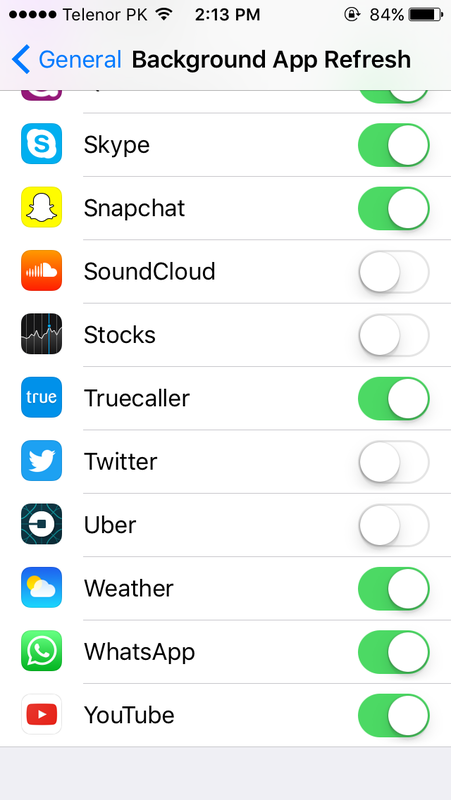 How do you disable cellular data use for all apps except for one?